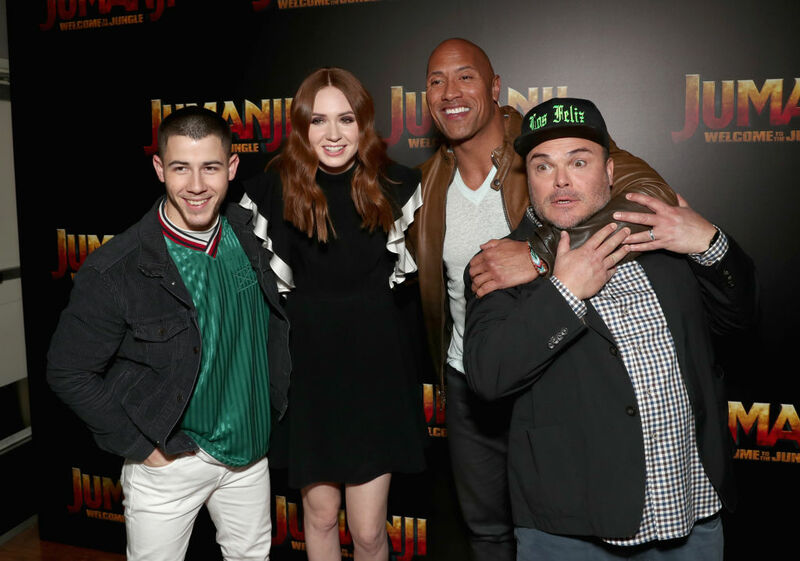 When the first still for the new Jumanji film was released, women everywhere groaned — with good reason. 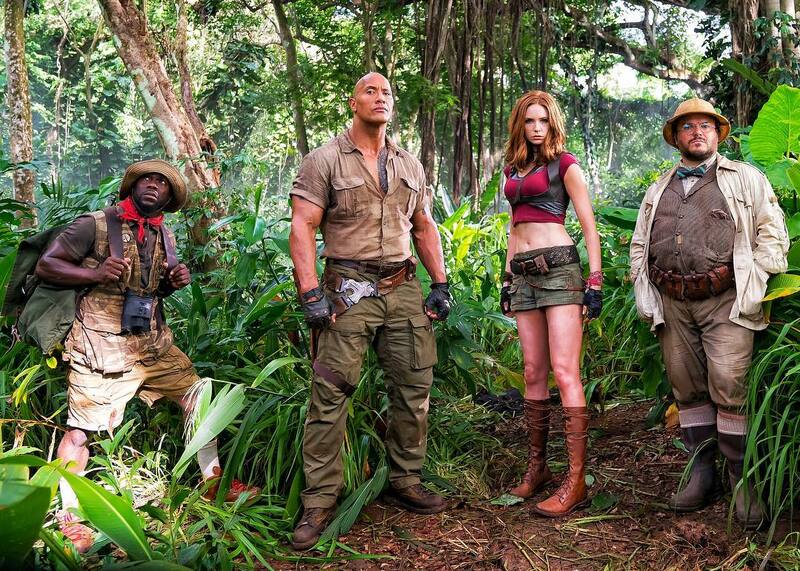 The still featured Kevin Hart, Dwayne “The Rock” Johnson, and Jack Black fully decked out in proper hiking garb while the only female in the group, Karen Gillan, was wearing a midriff shirt and short shorts in the middle of a jungle. Gillan and the cast warned that her character being another badass woman forced to wear unnecessarily skimpy clothing in the jungle wasn’t what it seemed. Admittedly, we were skeptical, but now that the premise and first footage have been released at CinemaCon, it makes a lot more sense. While fans will remember the original Jumangi as a board game that comes to life, in the sequel (not a reboot) Jumangi: Welcome to the Jungle, the premise is four teens in detention who get sucked into a video game version of the original board game. The avatars are played by Hart, Johnson, Black, and Gillan. I love the premise of the new #Jumanji. The teens turn INTO the characters in the game, so a pretty girl is stuck in Jack Black's body, etc. We’re so happy to hear that Gillan’s outfit has an actual purpose. Additionally, producer Matt Tolmach, opened up to Deadline about turning Jumanji from a board game into a old video game. Not going to lie, this seems pretty cool and we can’t wait until December 22nd to see it! Hopefully this means we’re one step closer to an Oregon Trail movie.